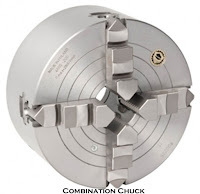 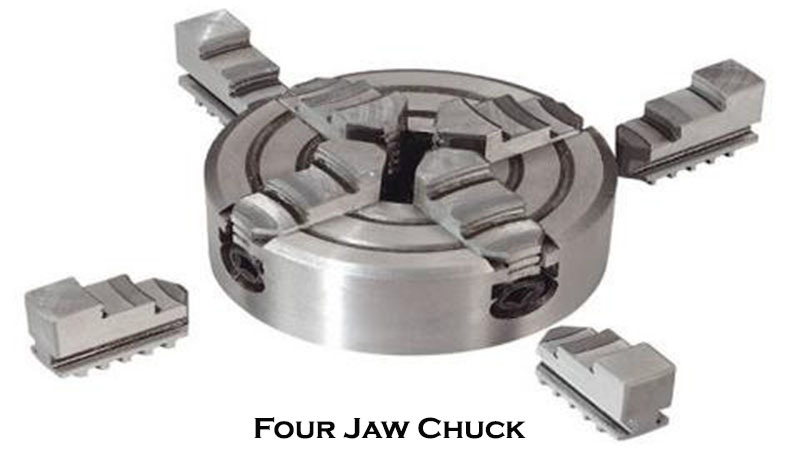 (a) Chucks - Three jaw and four jaw chucks are mounted on shaper with suitable means to hold the work pieces. 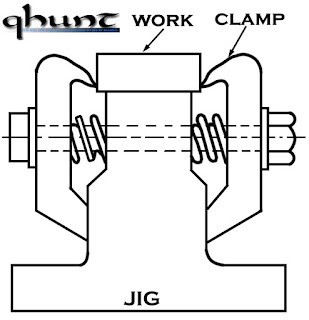 (b) Special Jig - Jig accurately locates the work in position for machining and holds it securely in position by means of clamping bolts, studs and screw. 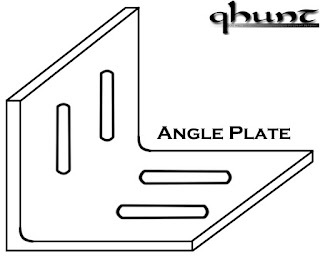 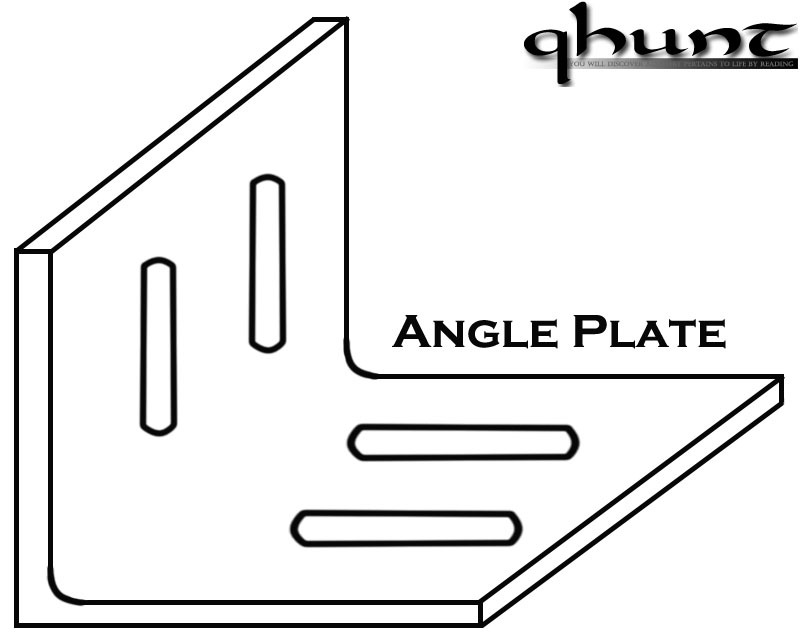 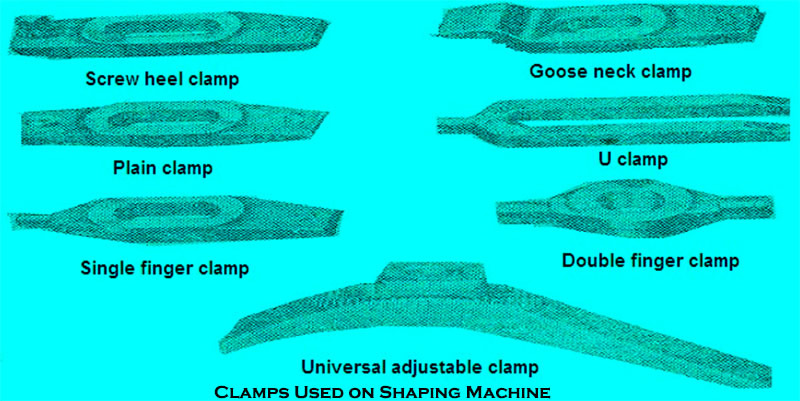 (c) Angle Plate - The work is securely fastened to an angle plate with clamps or bolts. (d) Plain vice - Plain vice is bolted to the machine table. 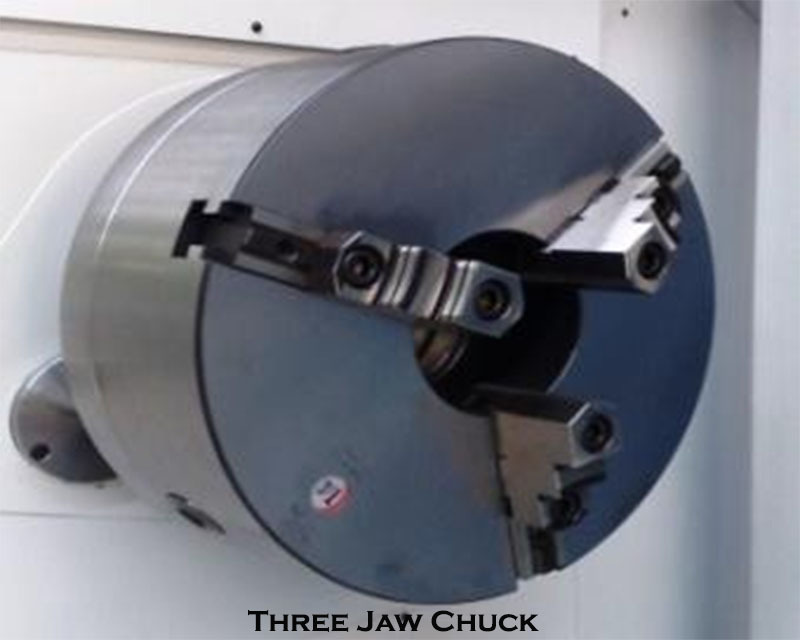 It holds the work piece securely while machining. 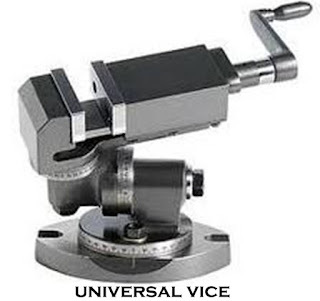 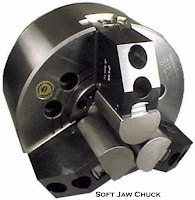 (e) Universal Vice - This type of vice can be swivelled at any desired angle through a horizontal plane. It can be tilted and held stationary at an angle from the horizontal to the vertical by means of a hinged knee. 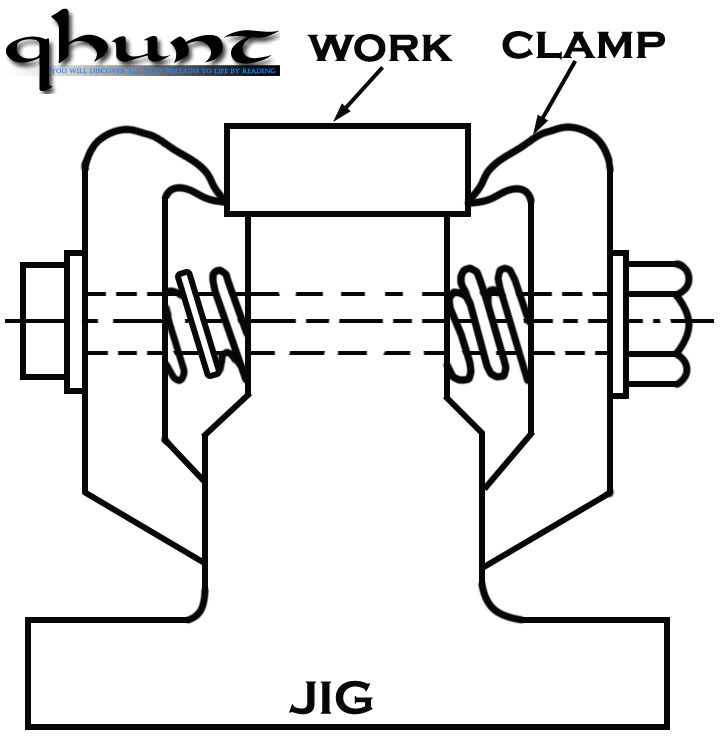 Work is supported between the centres of dividing head.